Lot 248: 5 Mark Twain Books, incl. 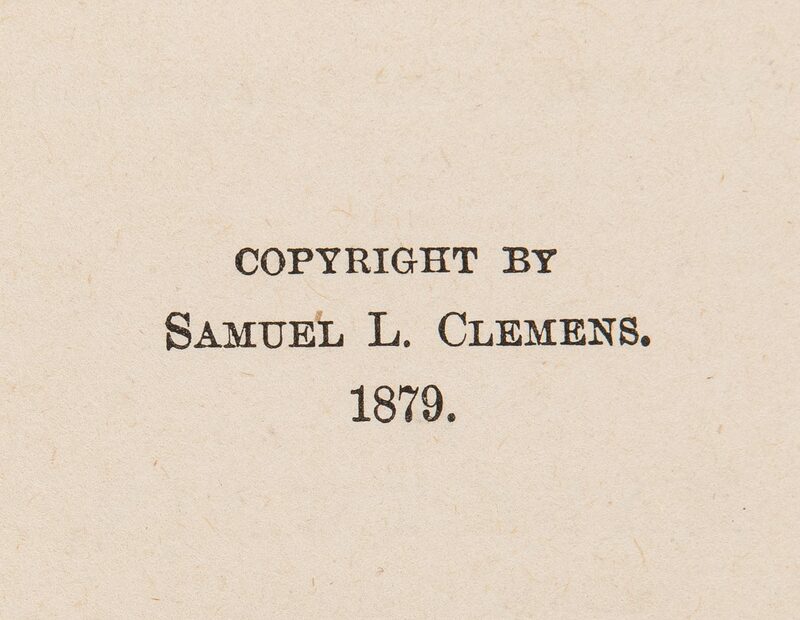 1st Eds. 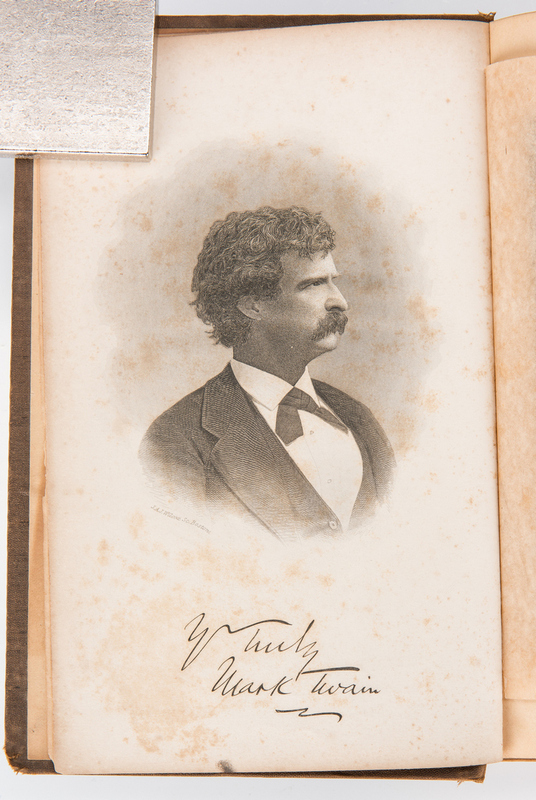 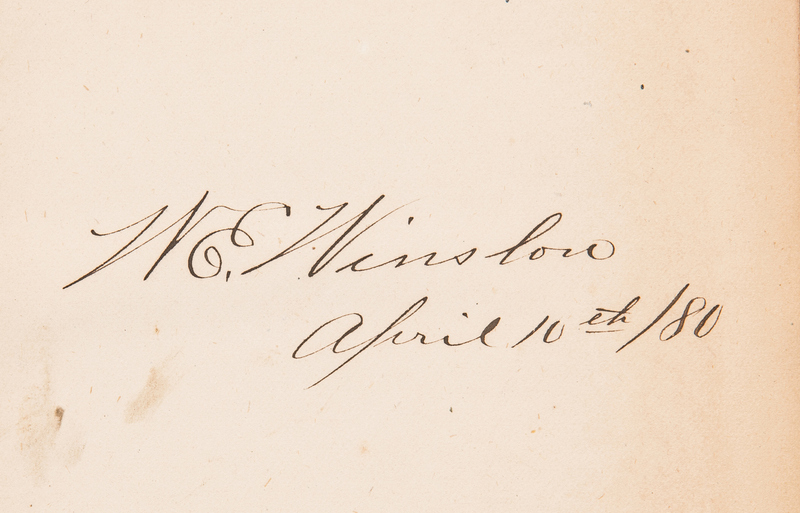 You are here: Home >> April 27, 2019 Spring Discovery Auction >> Lot 248: 5 Mark Twain Books, incl. 1st Eds. Five (5) Mark Twain Books, including First Edition and First American Editions. 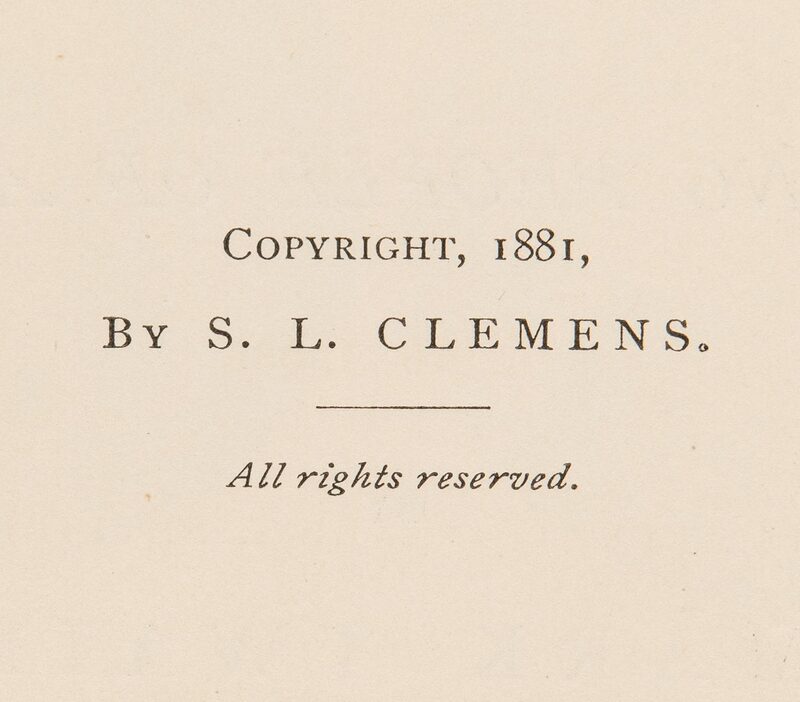 1st item: Roughing It, First American Edition, by Mark Twain (Samuel L. Clemens), 1872. 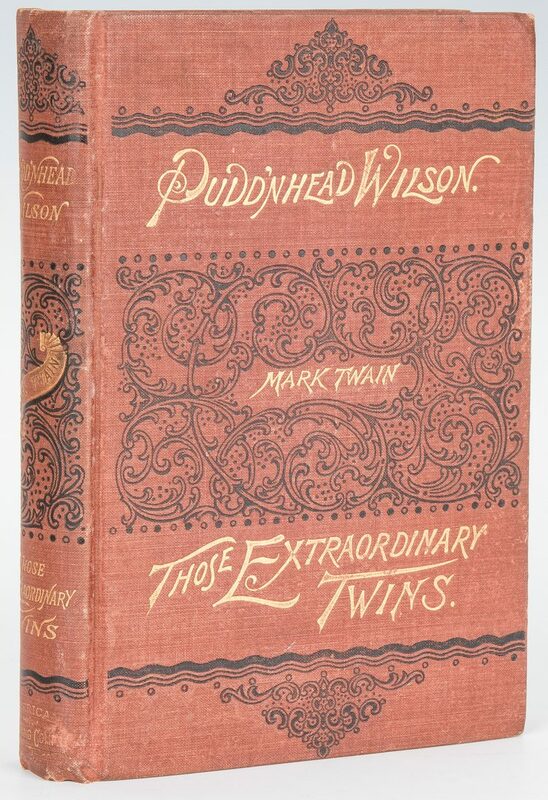 Published by American Publishing Company, Hartford. 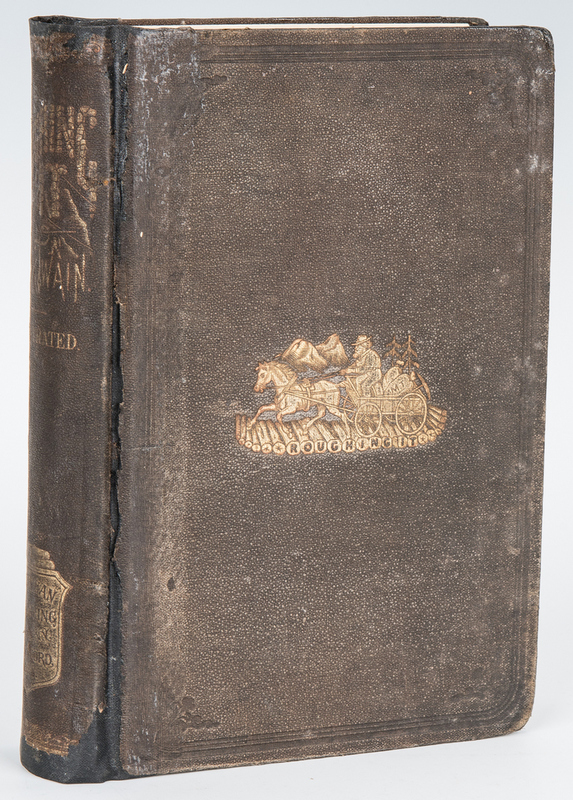 Octavo, 591 pages including back advertisements, appendix, two engraved frontispieces with tissue paper guard, and other illustrations, rebound in brown cloth with original tooled pebbled cloth covers and spine with gilt lettering and embossed pictorial covers. 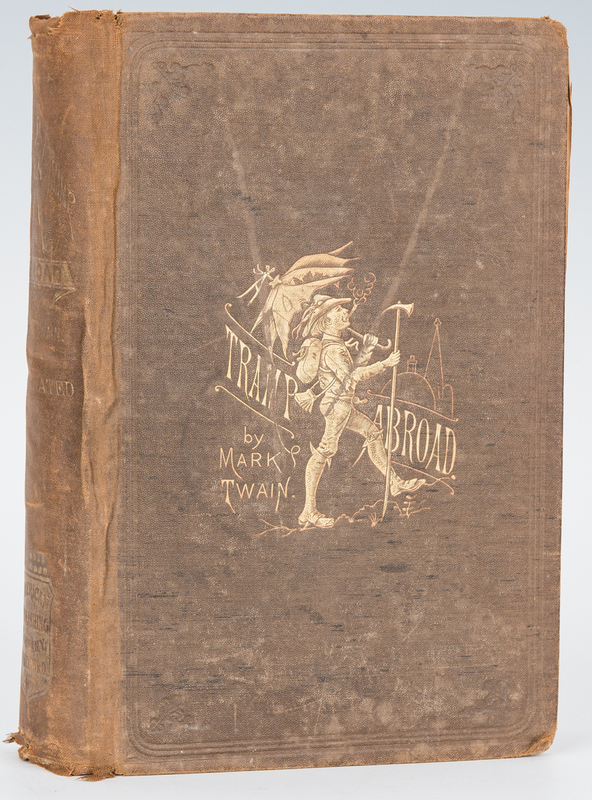 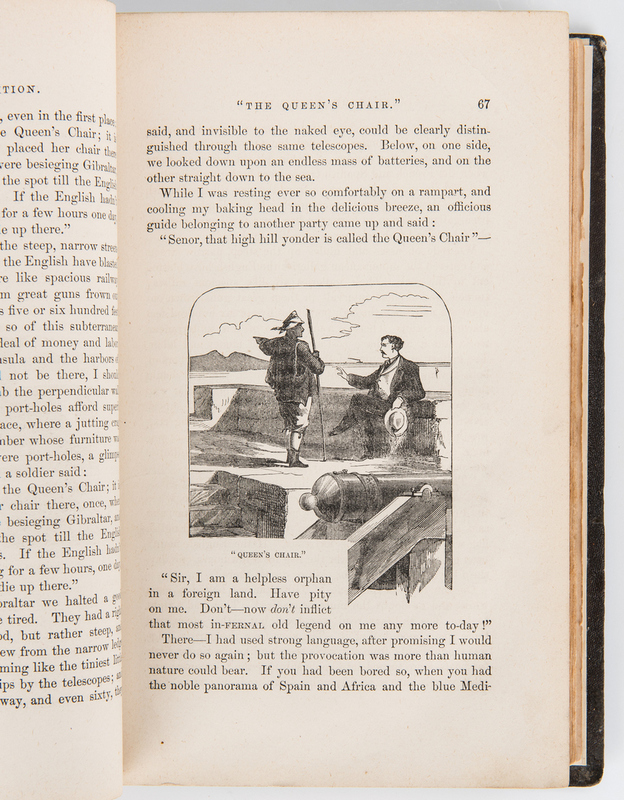 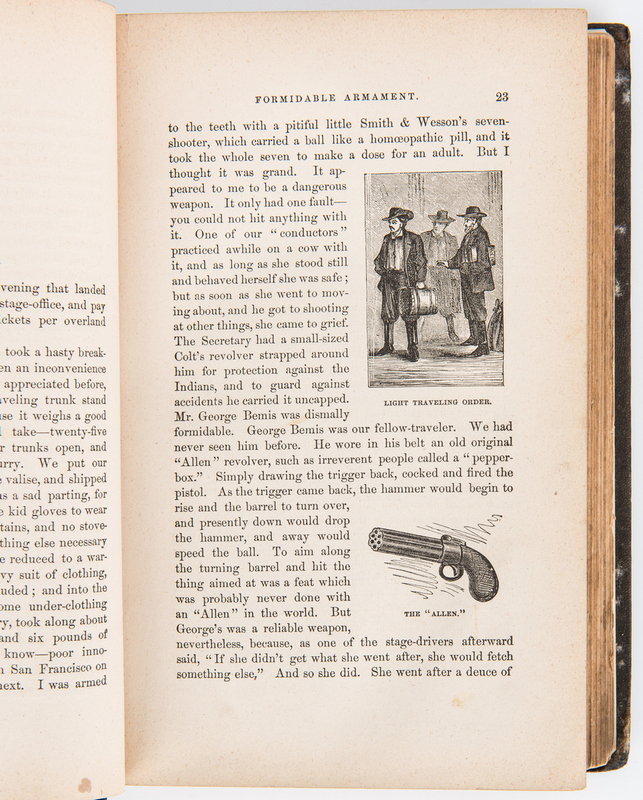 9 1/8" H x 6 5/8" W x 2" D. 2nd item: A Tramp Abroad, First American Edition, by Mark Twain (Samuel L. Clemens), 1880. 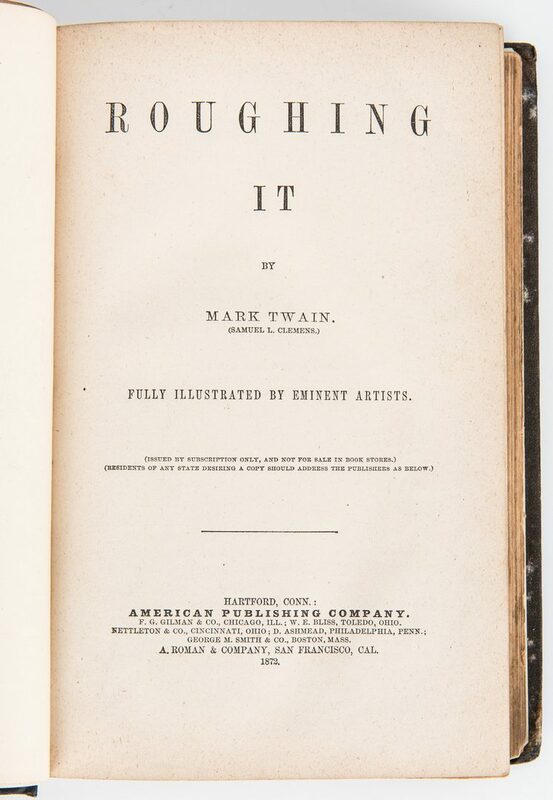 Published by American Publishing Company, Hartford. 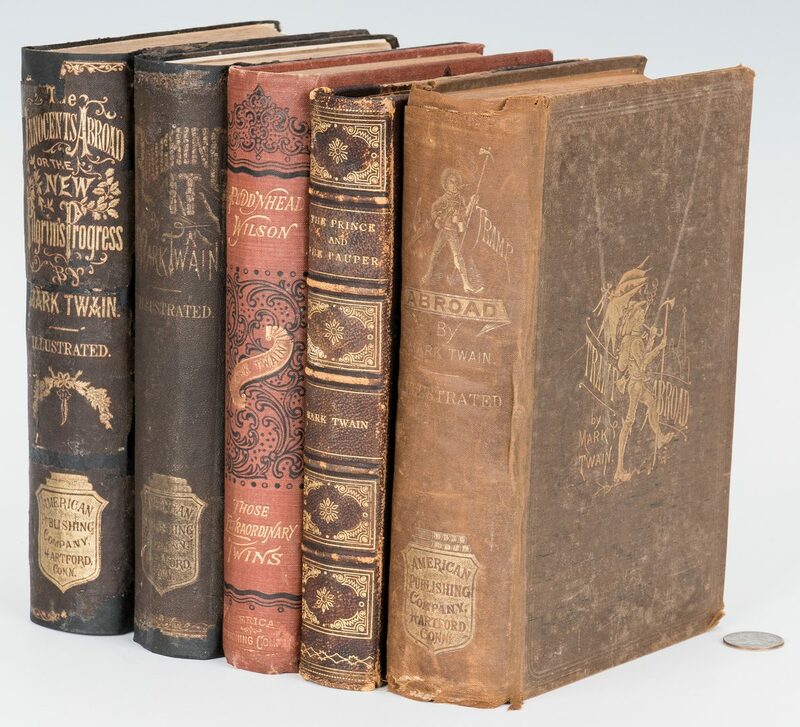 Octavo, 631 pages including appendix, back advertisements, two engraved frontispieces with tissue paper guard, including a portrait of Twain with facsimile signature, and other illustrations, hardbound in tooled brown cloth with gilt pictorial covers and gilt lettering to spine. 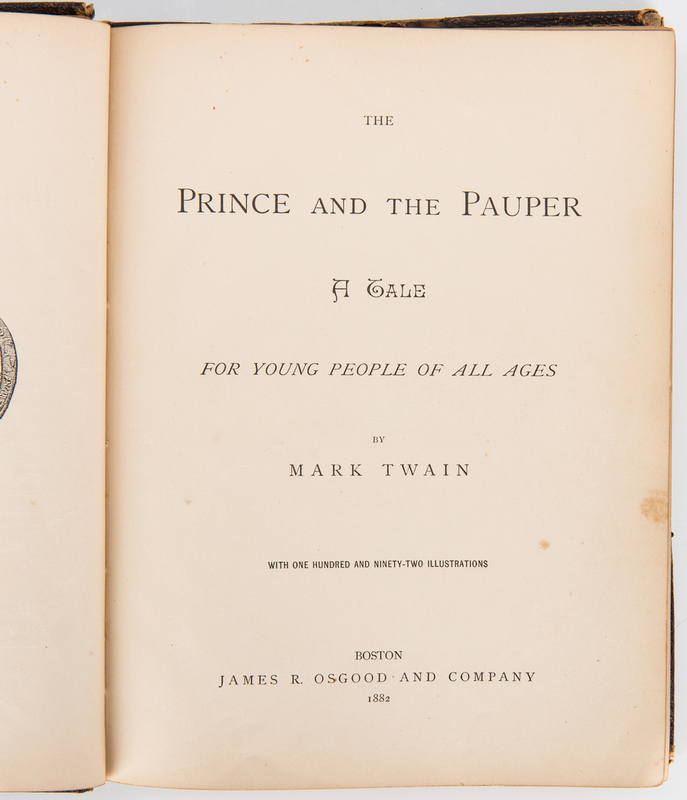 9" H x 6 1/2" W x 2 1/8" D. 3rd item: The Prince and the Pauper A Tale For Young People of All Ages, First Edition, by Mark Twain, 1882. 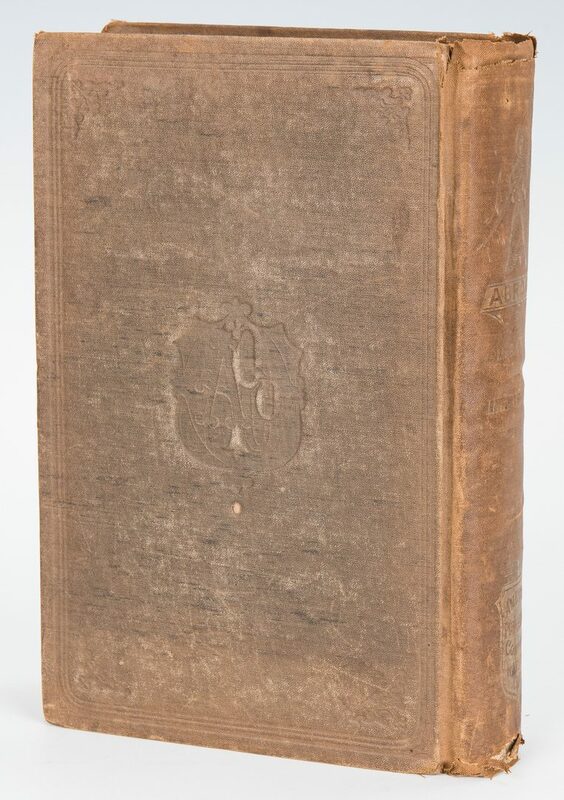 Published by James R. Osgood and Company, Boston. 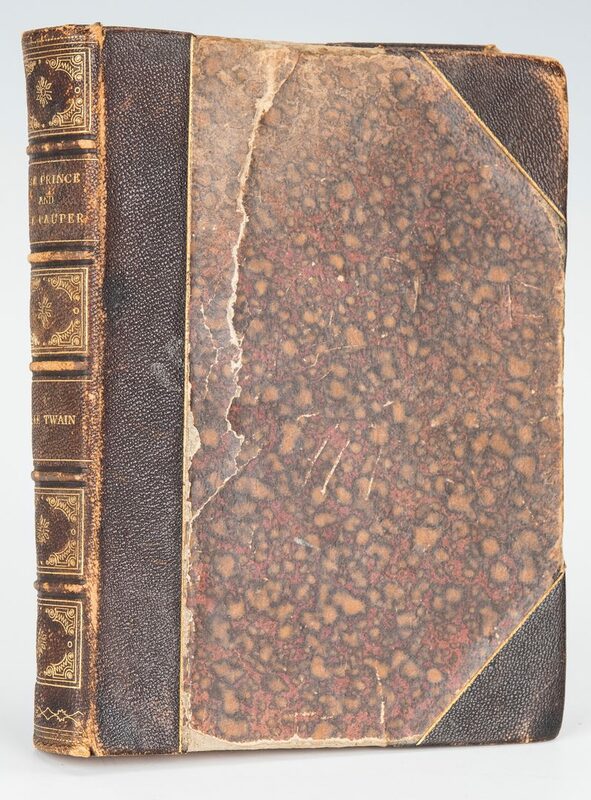 Octavo, 411 pages including Notes, a facsimile and transcription of a letter from Hugh Latimer, Bishop of Worcester, to Lord Cromwell, on the birth of the Prince of Wales (afterward Edward VI), frontispiece, and illustrations, hardbound in three-quarter brown leather with marbled-paper sides with gilt trim and gilt lettering to spine with five raised hubs, marbled end papers. 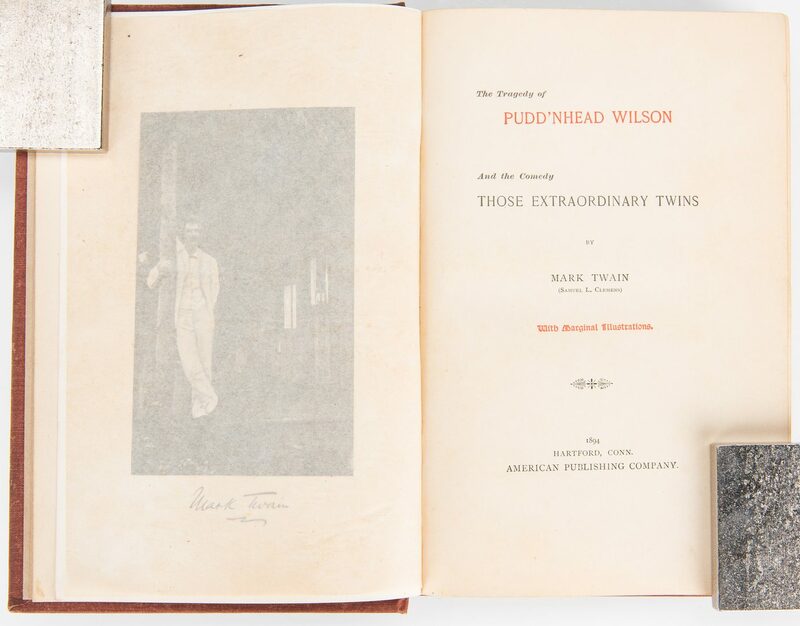 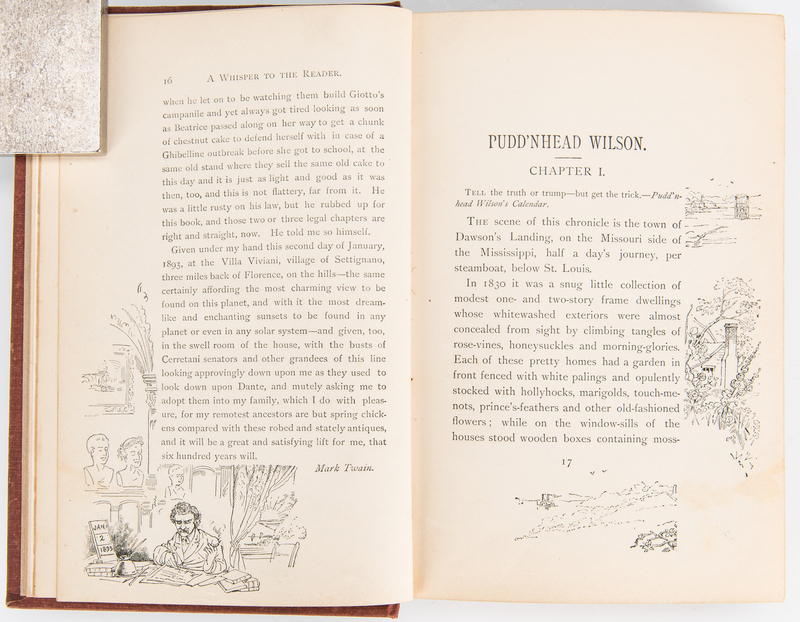 8 3/4" H x 7" W x 1 1/4" D. 4th item: The Tragedy of Pudd'nhead Wilson and the Comedy Those Extraordinary Twins, First American Edition, by Mark Twain (Samuel L. Clemens), 1894. 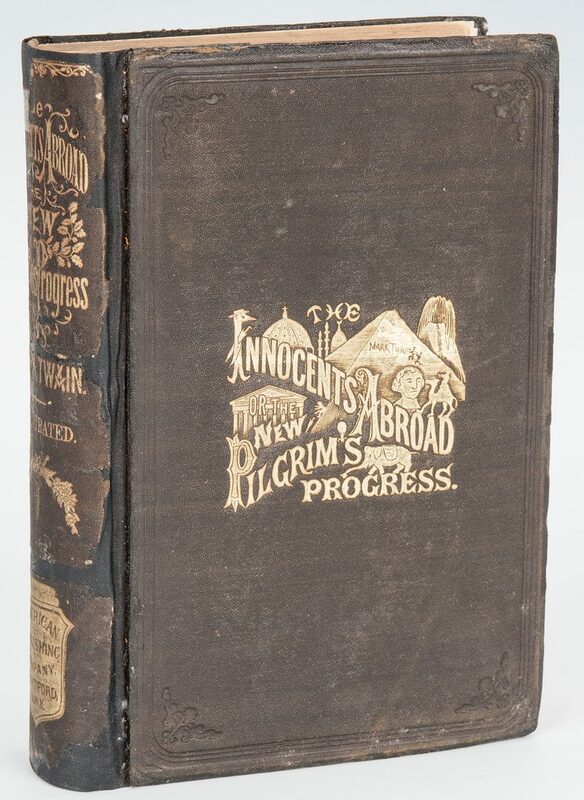 Published by American Publishing Company, Hartford. 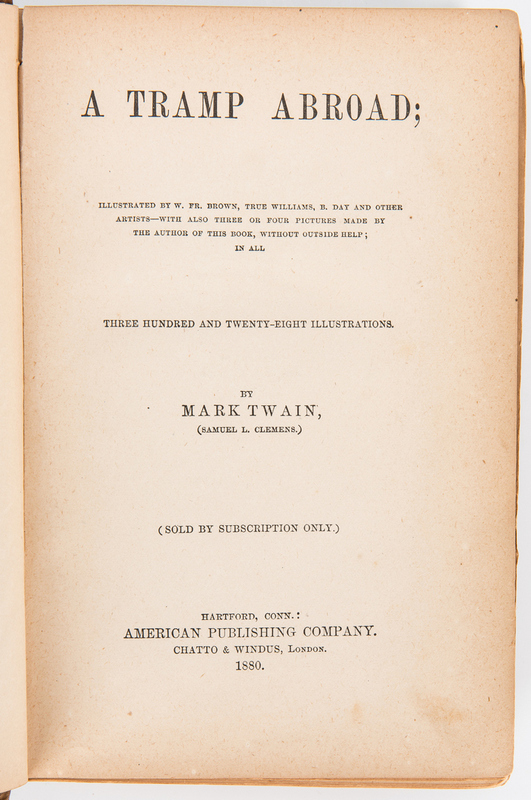 Octavo, 432 pages including Final Remarks, photogravure frontispiece of Twain with facsimile signature and tissue paper guard, and other illustrations, hardbound in tooled brown cloth with embossed arabesque designs in black, gilt lettering to covers and spine. 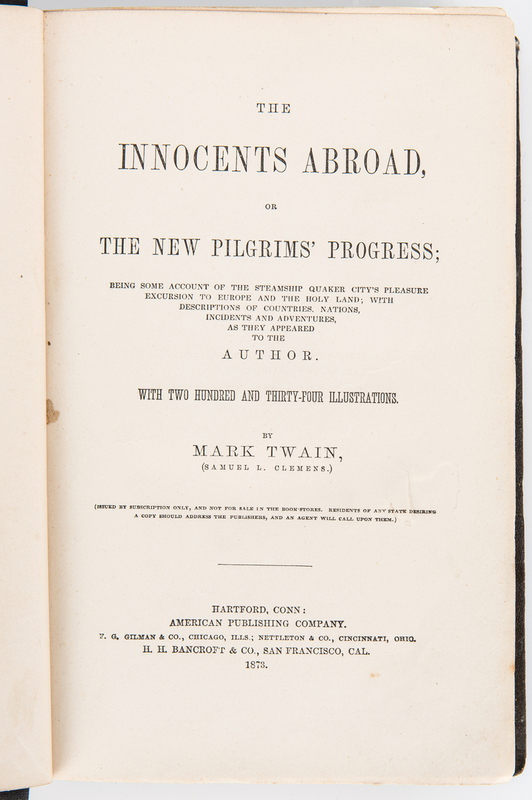 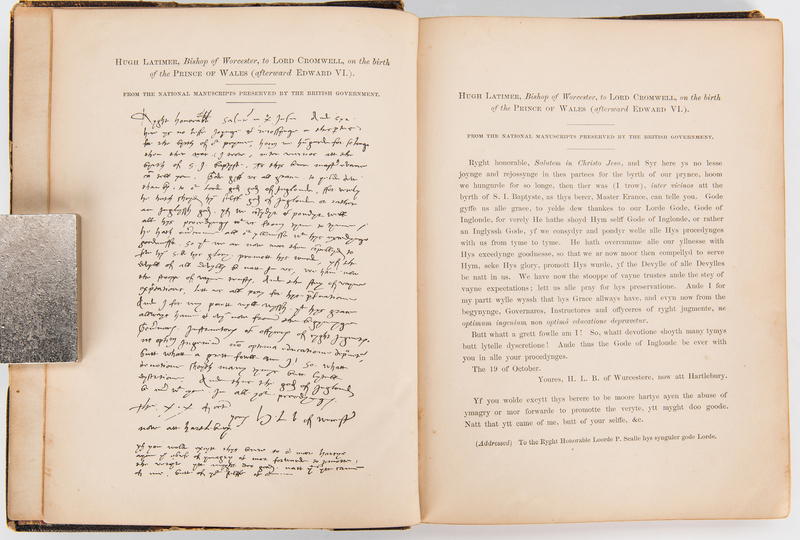 9" H x 1 1/2" D. 5th item: The Innocents Abroad, Or The New Pilgrims' Progress, by Mark Twain (Samuel L. Clemens), 1873. Published by American Publishing Company, Hartford. 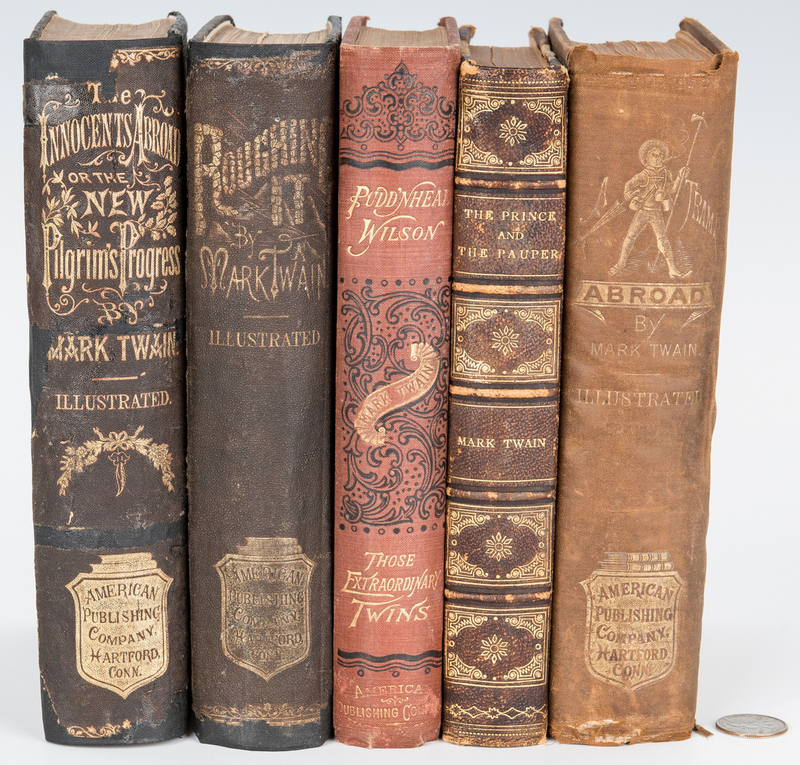 Octavo, 651 pages with back advertisements, two engraved frontispieces with tissue paper guard, and other illustrations, rebound in black cloth with original tooled pebbled cloth covers and spine with gilt lettering and embossed pictorial covers. 9 1/8" H x 6 5/8" W x 2" D. CONDITION: Covers in overall worn condition with shelf wear, scuffs, scratches, areas of loss, cracks, etc. 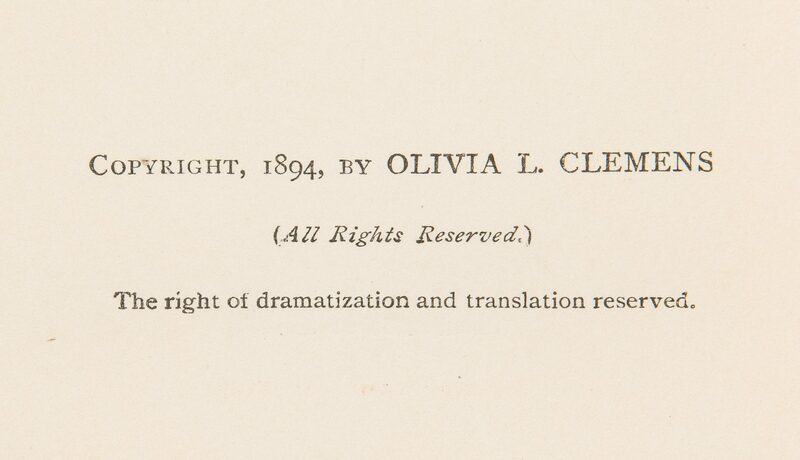 to be expected with age. 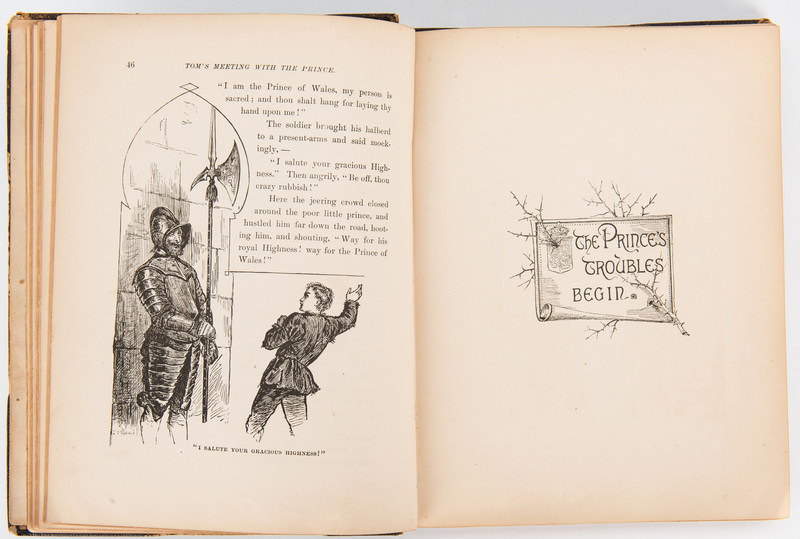 Pages with toning, foxing spots, tears, pencil marks, etc.